French students thrive at Camp Pillsbury! Building on existing interests and developing new ones, your child will excel in the areas in which they are most passionate, through fun and challenging activities that they choose for themselves. 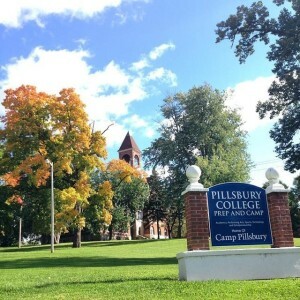 Camp Pillsbury is a Summer Camp in America with plenty of exciting programs and activities to immerse French students into the American cultural experience in a uniquely middle America environment. Located in Owatonna, Minnesota, known for its quality of life, it’s a community where progress and growth are built on a strong foundation of history. 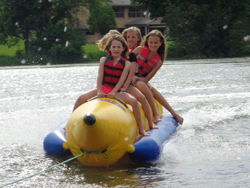 Accommodating campers ages 11-17, Camp Pillsbury seeks to keep kids safe, active, refreshed and engaged in vast array of unique programs that create the perfect environment to experience the summer of a lifetime! Unlike many summer camps in America, campers can design their own unique schedule. Our premier programs are coached by bilingual camp counselors accomplished in their fields of expertise. Circus Arts • Culinary Arts • Dance • Extreme Sports • Equestrian • Magic • Music • Sports • Role Playing Games • Fashion Design • Cheer- leading • Theater • Visual arts • Watersports and much more. What a great opportunity to provide your child with a most memorable summer – a “crème de la crème” summer camp in America with a unique taste of American culture. Space is limited! Register now to ensure a spot this summer. 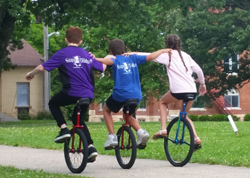 "Our experience with PCP (Pillsbury College Prep) involves some acquaintances from China, who found this summer camp and school via one of our friends. Their son suffered health problems from living in the polluted air of Beijing, and the fresh air and clean water of this small-town Minnesota helped greatly to clear them up over the several months he spent attending Pillsbury's summer camp programs. Perhaps even more important were the things he got to try through these offerings, including overcoming his fears and trying the trapeze in the circus performance section of the camp. Although typically shy and not possessing great English language skills, the available ESL (English as the Second Language) classes coupled with the friendly and outgoing camp personnel truly helped him to prepare for integration into an American high school classroom experience, where he has especially excelled in mathematics. Even though they had also tried famous schools in China and England, Pillsbury has become where he has done the best and shown the most growth as a student. The entire staff at Pillsbury, from the owner right on down through the individual instructors have gone out of their way to make this facility an open and caring institution. We already know more people from China looking seriously into attending."